Biden laughed his way through the VP debate last night, but he wasn't cracking up at the Republican agenda or stoned off his gourd. 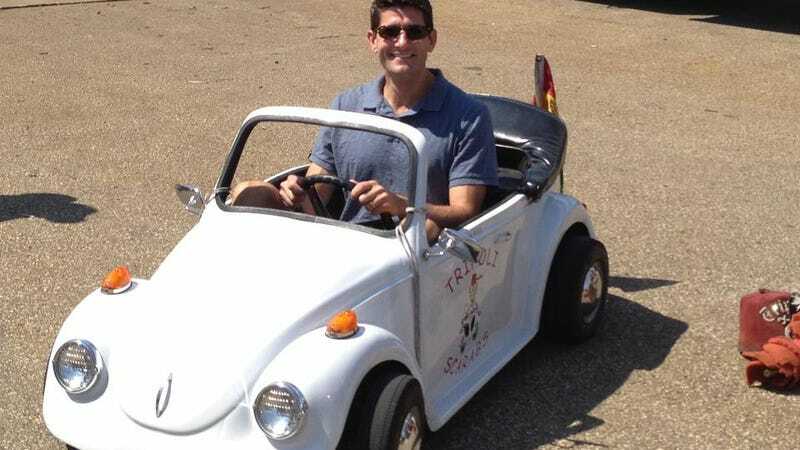 It was this picture of Ryan in a tiny car. And this is what Ryan was smirking at.